Be sure to check out my headlines on my weekly post on WRAL’s Out and About. 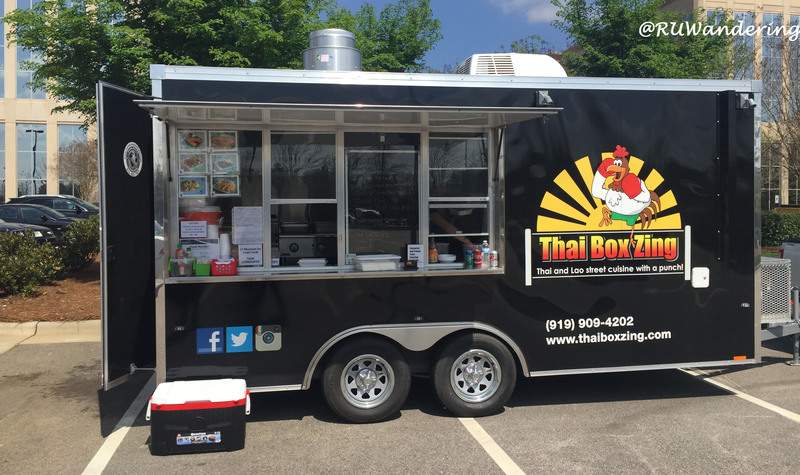 Specializing in the Vietnamese classic sandwich, the banh mi, this food truck is testing the waters in Cary on Sundays. Parked at the Princess Nail Supply off Buck Jones Road, you can grab fresh and authentic banh mi sandwiches. 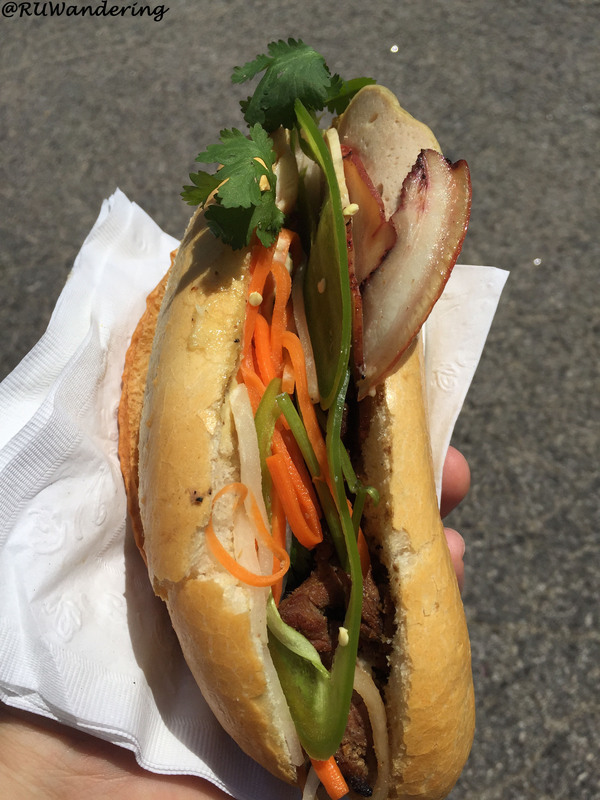 Pictured is a half-and-half banh mi of the pork roll (top) and grilled pork (bottom). The top is more traditional Vietnamese, while the grilled pork caters to American palates. You can also buy authentic Vietnamese coffee and smoothies. Thanks NC Triangle Dining for the reminder. Follow on @banhmihalong, Facebook, or check out their website. This food truck is currently traveling between Durham and Raleigh serving up the new Southern Tradition, Chicken and Waffles. The waffles can be customized to different flavors like Red Velvet, Donut, and Pecan. All can be topped with Chicken or you can add eggs and such. Follow them on Facebook, Instagram, and Twitter @bigcwaffles. 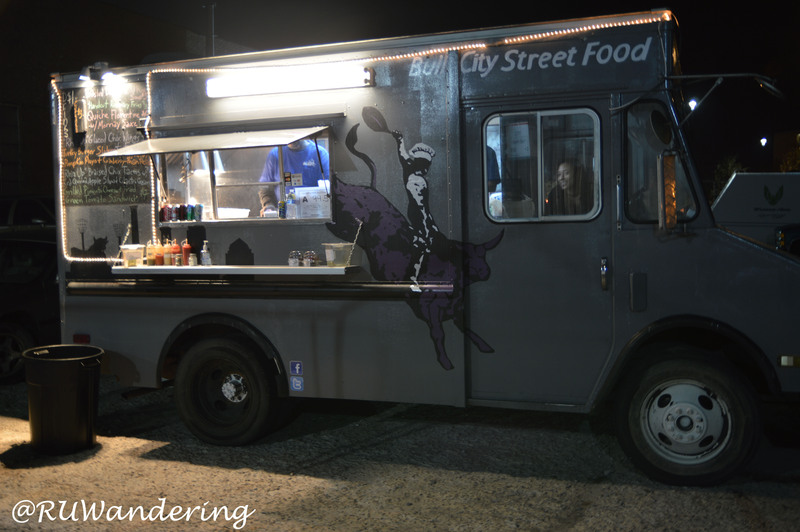 If you are in the Durham area, look for them on Twitter, @bullcitystfood. 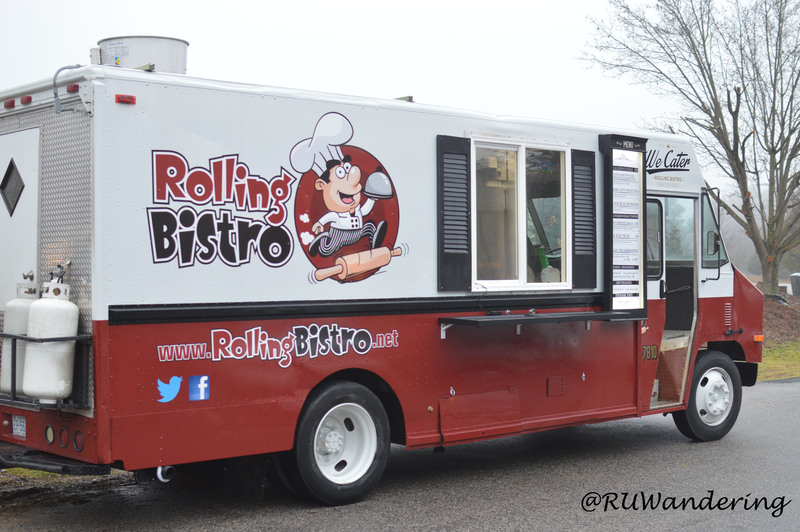 Each week the food truck specializes a new cuisine, which include French Bistro, Italian, and Argentinean. 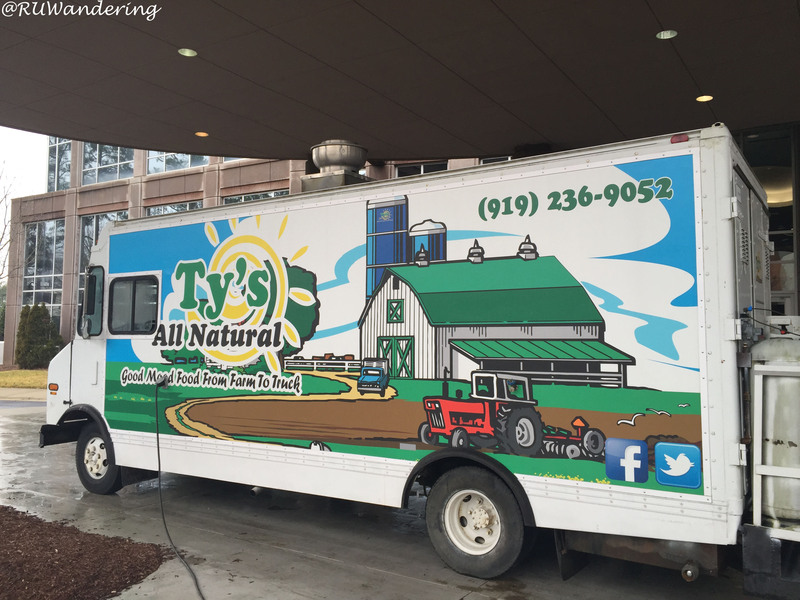 The truck is owned by Chef Harry Monds, is known in the Durham restaurant and catering scene. You can also find more information on their Facebook page. 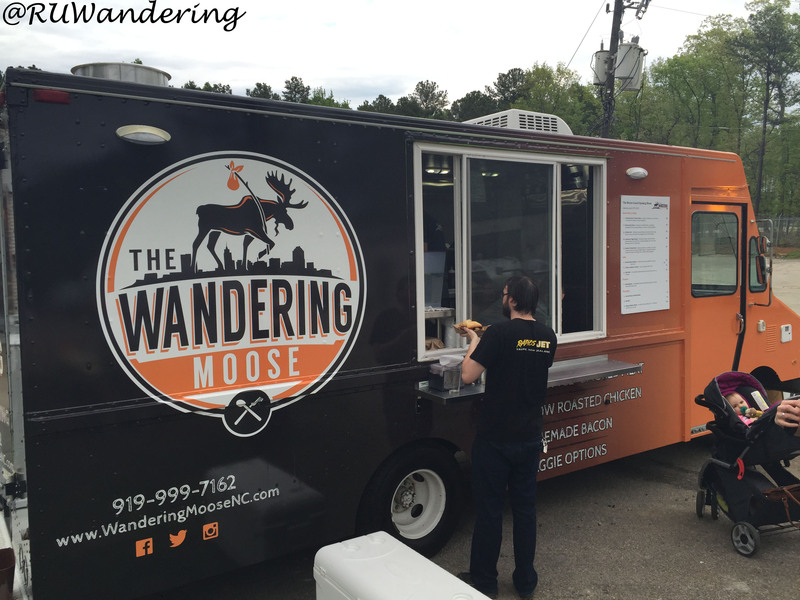 The Wake Forest restaurant now has a third location, a food truck. 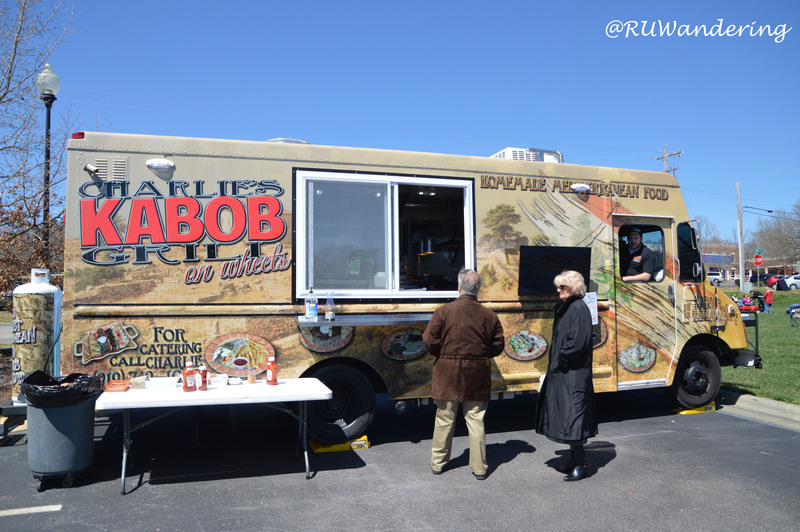 Named Charlie’s Kabob Grill on Wheels, the food truck… If you are not familiar with the restaurant, check out their website and Facebook Page. Caught them at Nickelpoint recently, thanks to Paul Prause (@paprause). The menu includes spinach dip, casseroles, and sausage. I enjoyed the buffalo chicken casserole, which was chicken with sliced potatoes and cheddar cheese. You can find them on Twitter @chick_wagon and Facebook. If the name sounds familiar, it is the food truck famous from Shark Tank. Cousins Maine Lobster launched early May and is now serving the Triangle. 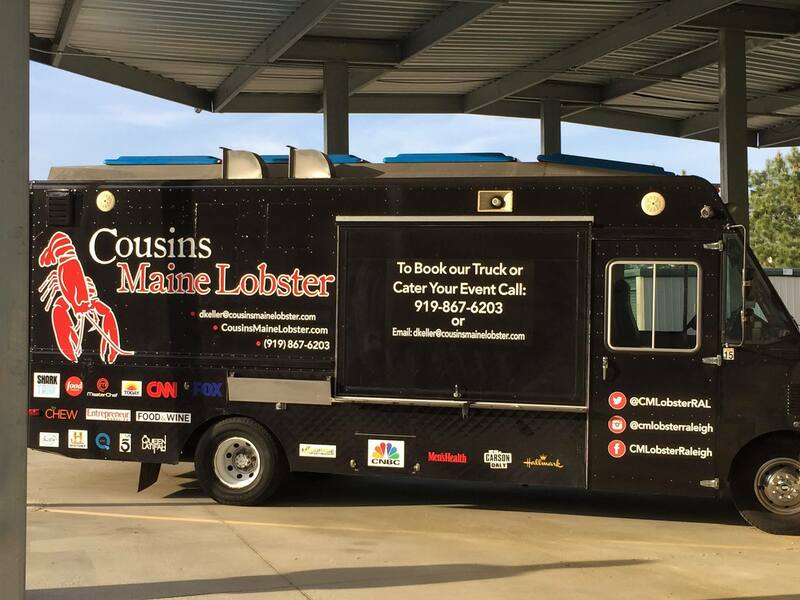 The best way to find the food truck is via their Cousins Maine Lobster app (on iTunes and Google Play). 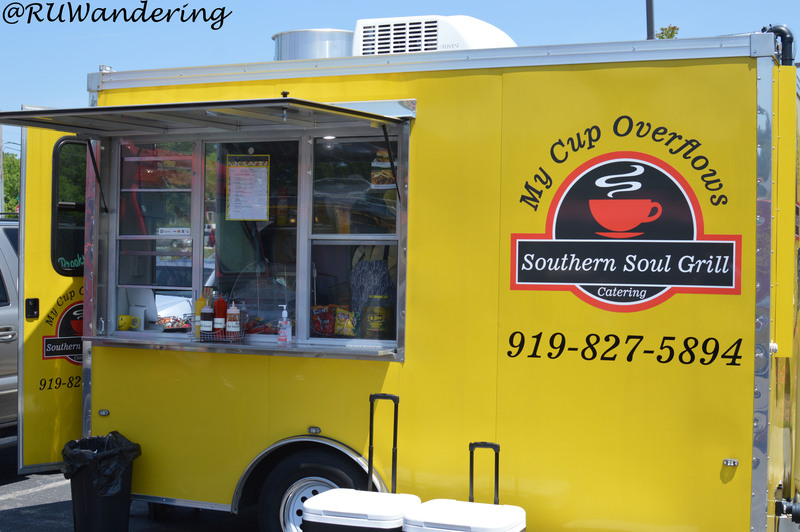 You can find the food truck parked at Duncan Junction off NC 42, which is just past the Wake/Harnett County Line. Serving up breakfast and sandwiches in bolillo rolls. In addition to the food, I enjoyed the family was genuinely nice. Follow on Twitter (@CrazygsCGG) and Facebook. Thanks Paul Prause (@paprause) for the heads up! The Empire Eats has rolled out their catering food truck as a mobile food unit. 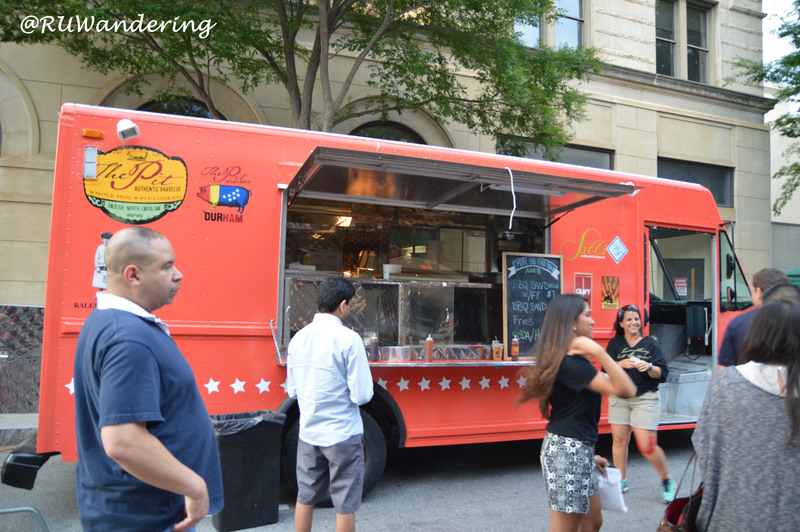 For June’s First Friday, they were parked across from Morning Times serving up BBQ Pork sandwiches and fries. For a soft launch, they did have some different flavored tacos. If interested, you can follow them @EmpireEatsTruck or Instagram. 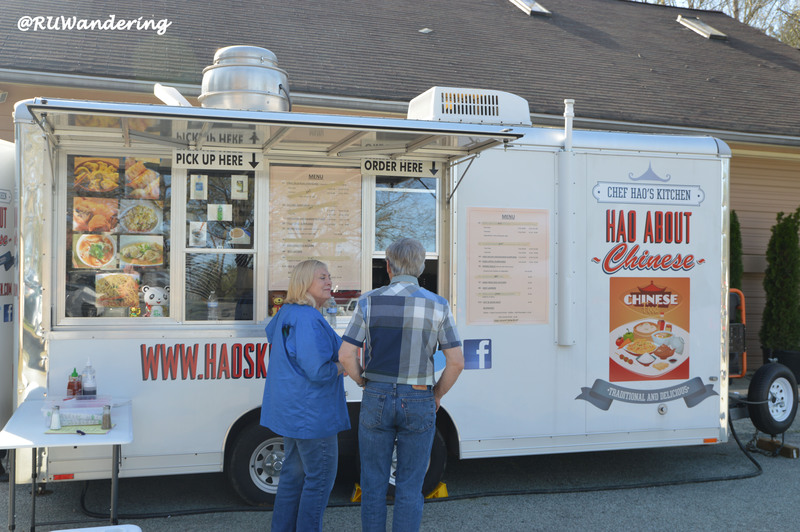 This past weekend I was able to check out “Hao’s Kitchen.” Hao Hong and her husband are doing quick Chinese food with some interesting twists like Cheeseburger dumplings and Apple Pie dumplings. The food is served in traditional Chinese takeout containers and they sell Chinese drinks, too. The food truck operates only only on the weekends and is just getting its wheels on the ground. If interested,check out @haoaboutchinese or their website. A new food truck that has rolled under the radar. 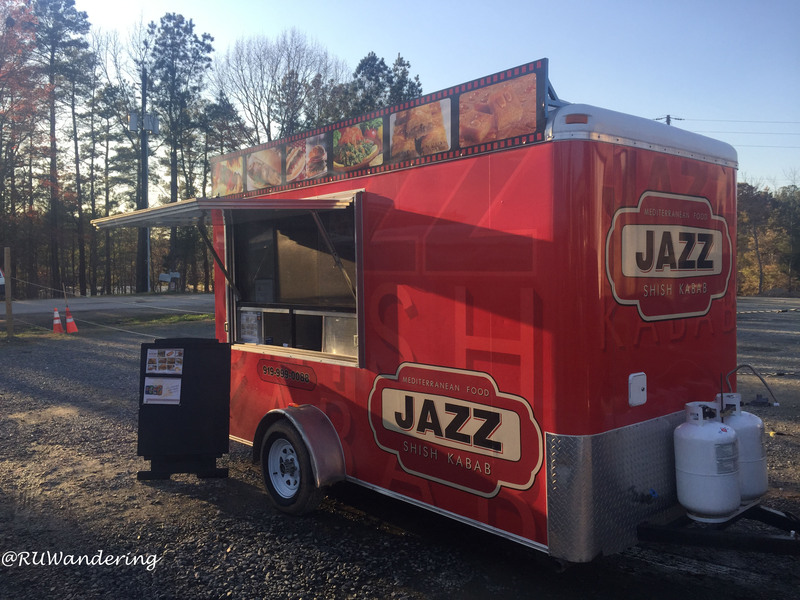 You may have seen on Twitter of a new food truck called “Jazz Mediterranean”. Curious, as you may have been, Jazz showed up to Lonerider Brewing. The cuisine is Egyptian and Mediterranean with the menu changing up each day. I found the prices reasonable and the Kabab and Cheesesteak pretty tasty. It is operated by a father and son team and recently added Twitter @JazzKabab to find them. Thanks to Triangle Explorer for alerting me that Knuckle Sandwiches was at Deep River Brewing this weekend. Their menu has a good assortment of different sandwiches, including their signature “The Knuckler”. Be sure to follow them @KnucklesInfo and their Facebook Page. 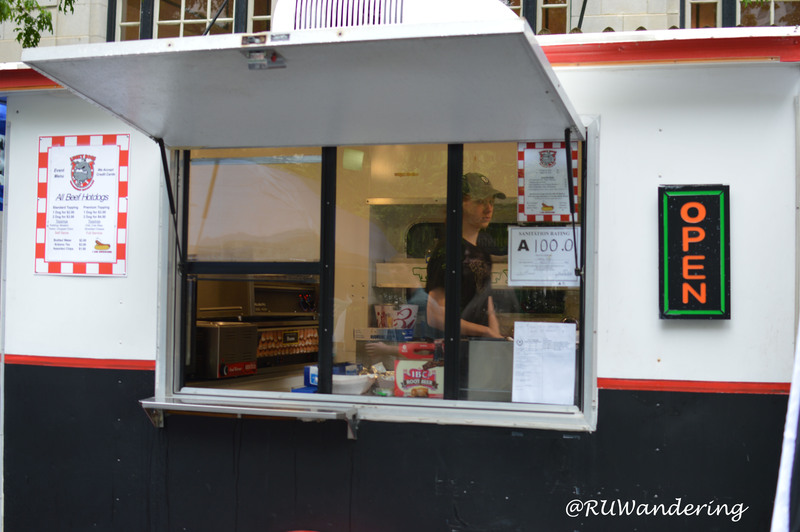 This food truck sits primarily at Lucky B’s on Tucker Street in the Glenwood South district. However, I did see they were out at Brewgaloo 2015. You can see their Facebook Page for details. This Wake Forest favorite is out now. Be sure cool off (and listen to the tunes pumping from this truck). You can follow them @LUMPYS_ICECREAM or Facebook. 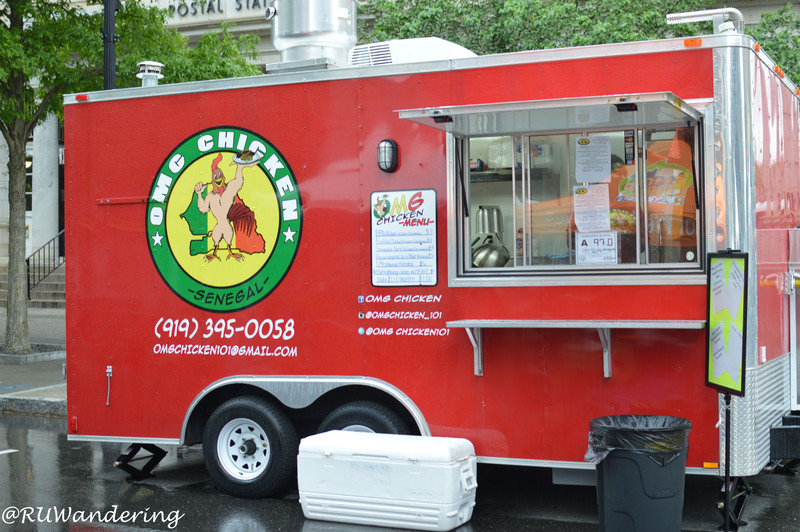 The Chapel Hill casual Korean bistro rolled out a new food truck this month. The menu is familiar to the restaurant with Bibimbap, but you’ll find sandwiches and wings on the truck, too. You’ll want to follow @MixedKoreanRest to see where they will be next. 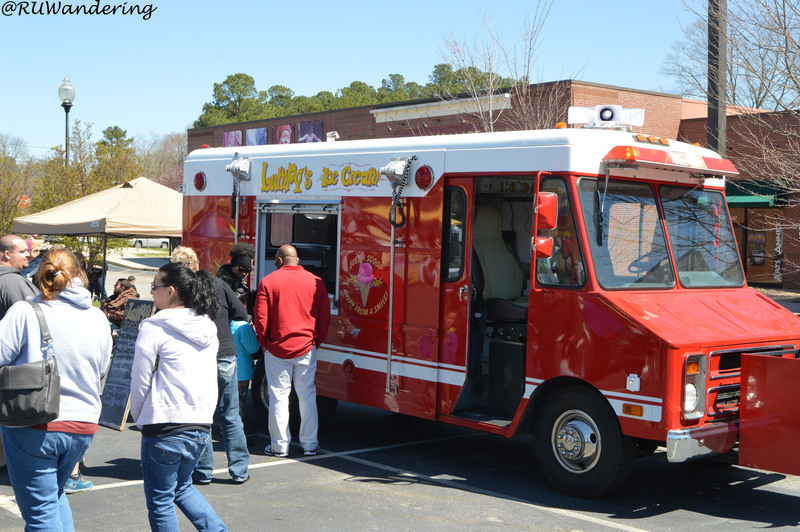 This picture is from the May 17th Wake Forest Food Truck Rodeo. Serving up Chicken Salad sandwiches, fish tacos, chicken barbecue, and other Southern Soul favorites, this food truck can be spotted at the fairgrounds. You can follow them on @MyCupOverflowMG. 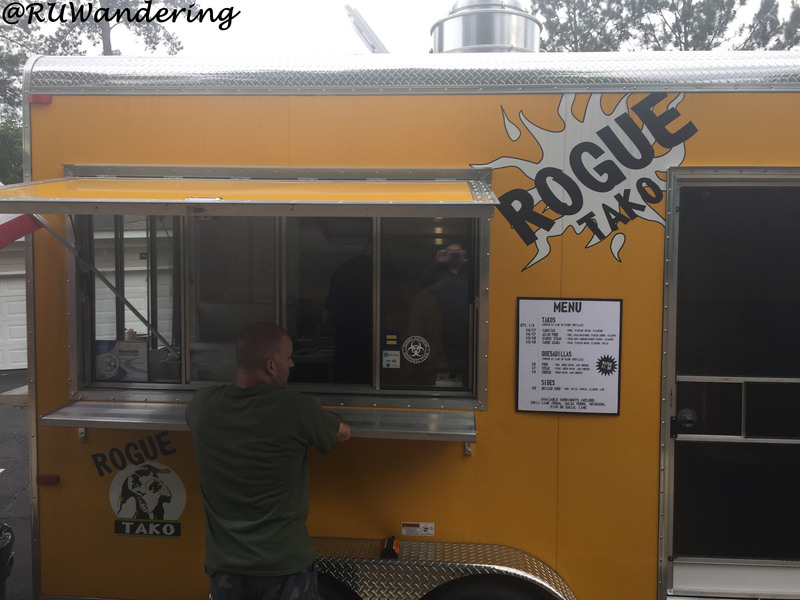 Rogue Tako’s menu consists of traditional tacos, Asian taco, Kimchi taco, chips, and grilled corn. You can follow them @RogueTakoNC, Facebook, and Instagram. 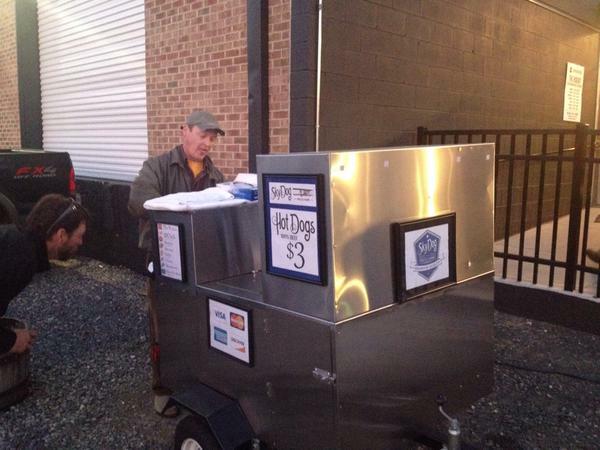 Thanks to Paul Prause finding this cart out in the wild last Saturday at Lonerider Brewing. They only have 2 followers (guess who the two are). Follow them @skydognc. More details to come. Thanks to Paul Prause (@paprause) for the photo. If you frequent the Morrisville location (Park West Village), you may recognize the owners on the Smoothie King trailer. 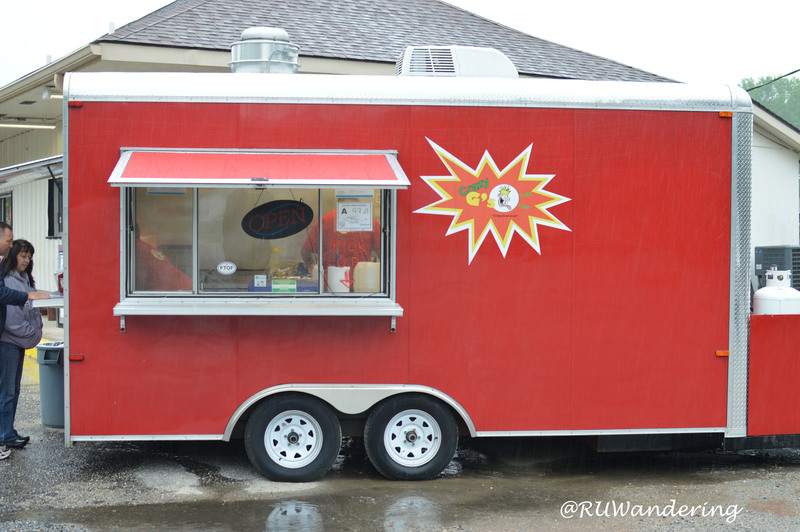 The trailer is the second location for the franchisees. Right now, you can follow them on Facebook and @SK_Morrisville on Twitter. After Anthony of Baton Rouge Cuisine, Oren has to be one of the tallest food truck owner in the area. Extremely nice and very talented, the food here is outstanding. The focus seems to be on fresh taste with an open kitchen concept. I am not familiar with Isreali cuisine, but the hummus and beef ragu had lots of flavor. I’ve been catching them at Hunt Street Market in Durham on Saturdays. They also routinely show up at Cocoa Cinnamon. 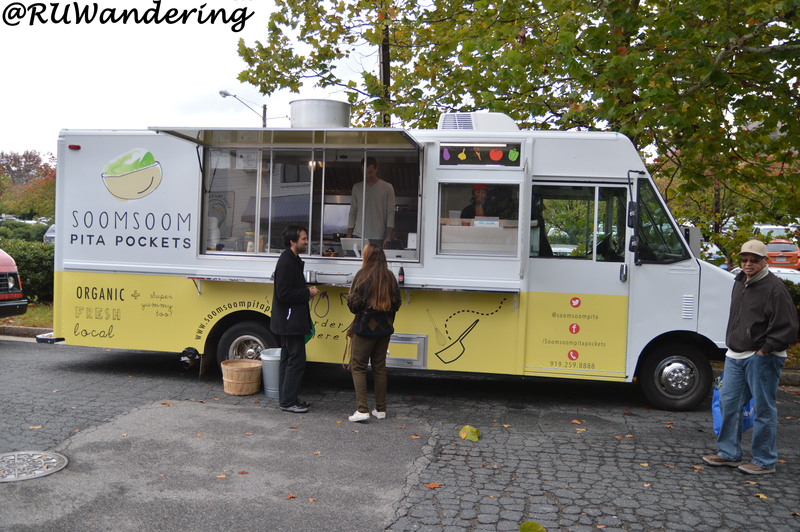 Follow them @SoomsoomPita and Facebook to catch them at their next stop. 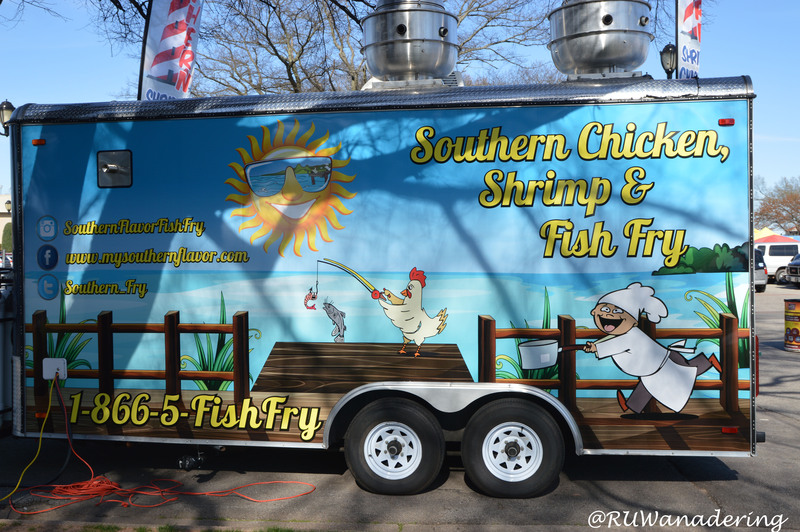 A new truck highlighting seafood, beef, turkey, and chicken. Their goal to have your palate travel the world. Follow them on Twitter @southernspicenc and Facebook. This Thai-Laotian food trucks hit the streets recently and is gaining lots of fans (I’ve been hearing very positive feedback). If you want to follow them, @thaiboxzing on Twitter and Facebook. Serving up Thai food from the Northern region, Nan to be exact. I found the food to be really good and different than what you typically find at Thai restaurants. 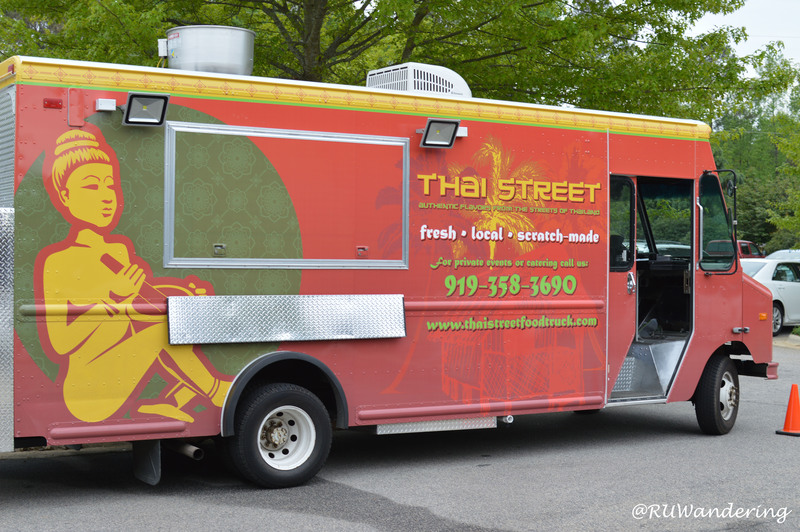 If you want to follow them, catch them on Twitter @thaistreettruck. Meg Here and There (@MegHereThere) pointed out that Truckin Chickin is making their debut. They are currently doing catering, but they are working toward a food truck solution. For more details, check out their Facebook Page and follow them on @truckinchickin. 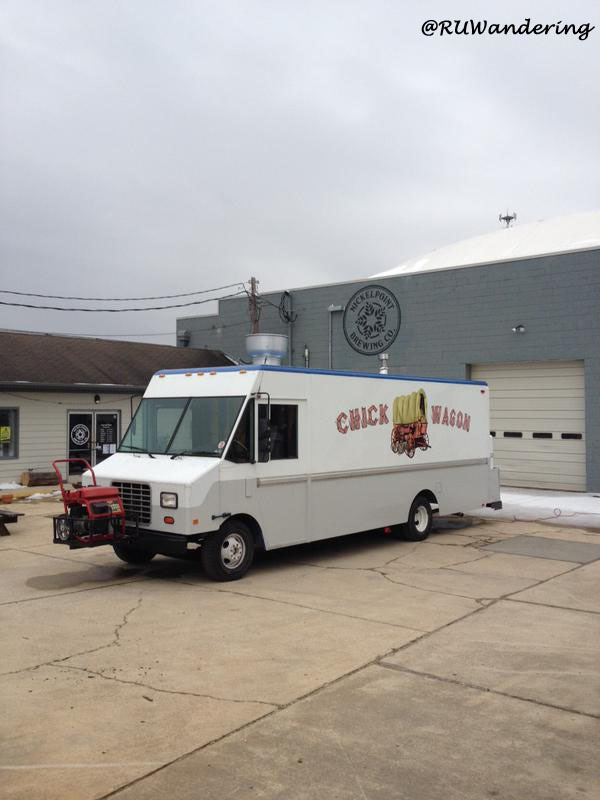 Thanks to Paul Prause (@paprause) for the heads up on a new food truck hitting the streets. I found they were at one of my lunch spots recently and was able to try out Ty’s All Natural. 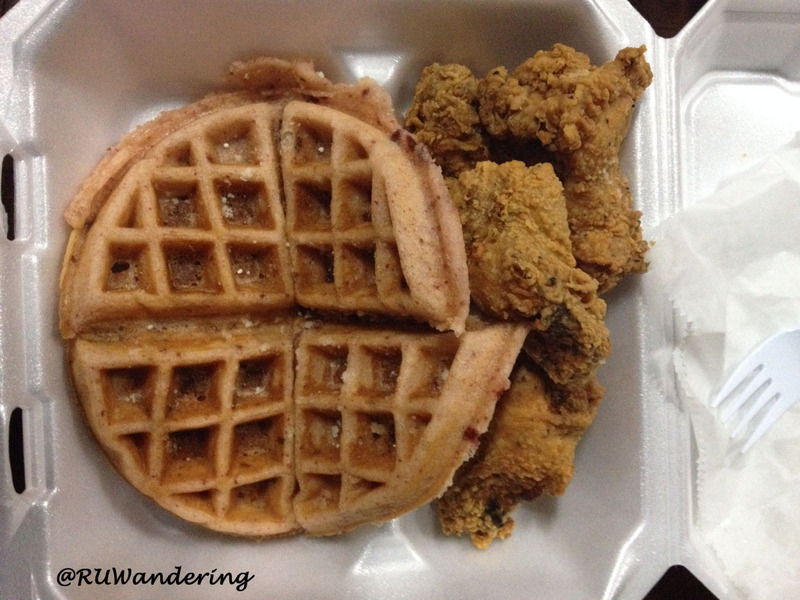 I enjoyed waffled chicken, which was chicken dipped in waffle batter. Also on that day was a burger and couple other options (one included a salad). I’ve noticed they are starting to post locations more now, so start following them on Twitter @TysAllNatural or their Facebook. 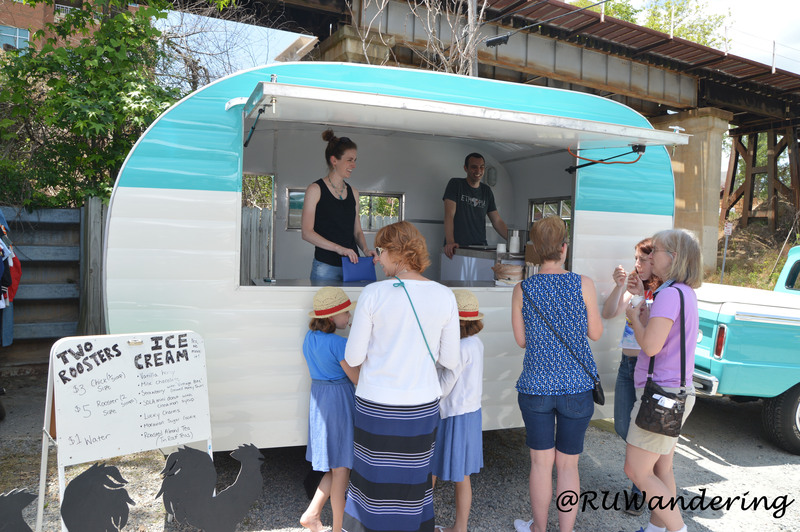 The Teal and White trailer (and sweet truck pulling it) is serving up ice cream made from local Homeland Creamery. One of the things I like about them is incorporating local ingredients into their flavors. Follow them @two_roosters and Facebook. Also, Justin (@bullnthecity) is working on the Behind The Wheel episode, which will feature them. 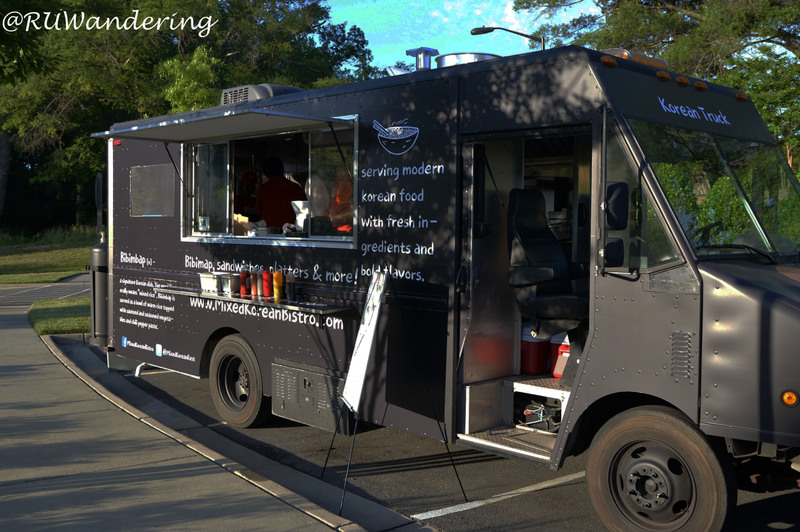 This food truck will have it’s first opening this Saturday, April 18th at Gizmo Breworks in Raleigh. For details on their opening menu, check out their website. Based on their Twitter profile, this food truck will focus on slow-cooked meats and scratch made sauces. Follow them @WanderingMoose1 and Facebook. Combining the flavors of Puerto Rico and African Soul, this food truck will have a great combination of flavors and cuisine. This is still in the development phases, but you’ll want to follow them on Facebook, Twitter @boricuasoulnc, Instagram, and their website to see the steps they are taking to start this venture. Maggie Howard and Chef Subash Panneerselvam, former executive chef of CholaNad Restaurant and Bar in Chapel Hill, will open a food truck focusing on contemporary fusion street food. The cuisine will include vegan and gluten-free options. They are anticipating mid-July. Right now they are on Facebook, but they have a website (under construction) and a current Kickstarter campaign. H/T to Bites of Bull City on giving me the heads up on a new biscuit food truck. Details are limited on the food truck other than they will make biscuits. Be sure to follow @rollnbiscuits for more details. Route Bistro has posted pictures on the progress of their truck on Facebook. If you want to follow them, you can on Twitter @BistroRoute or Like them on Facebook. While on vacation and an interesting mobile food concept enters our market: tacos by bike. H/T to Triangle Explorer for alerting me that @Taco_Cartel is hitting the streets. For more details, Triangle Business Journal and News & Observer wrote about how the idea came together. In the words of BJ Patel, operator of Tan-Durm, “The Streets of Durham are about to get spiced up.” Patel is a Durham native partnering with Bull McCabe’s to bring Indian Cuisine and Indian Street Food. Favorites like Chicken Tikka Masala, Daal Makhani, and Mumbai street eats like Samosa Chaat and Aloo Papri Chaat. They are wrapping up a few things, but should be out soon. Be sure to follow them @eatTANDURM and Facebook.